Copyright awareness, education and training — our courses are designed to help you and your colleagues gain confidence to answer copyright questions and keep your organization’s copyright risks to a minimum. We offer three certificate programs, and a variety of individual courses available for licensing and group registration. Click here to see all of our scheduled copyright courses. All of our courses are eTutorials; that is, we send the lessons to you by email. Some courses also include online discussions, assignments and virtual meeting sessions. Participants receive a Certificate of Completion upon completing each course. Graduates of our copyright certificate programs receive certificate plaques ready to hang in their offices. We help you identify which copyright course is right for you, below. These courses consist of email lessons with a text lecture, further resources, and a self-marking quiz. Our primer courses involve the least time and participation of all of our course offerings, and provide a great foundation for other courses. Schedule to spend approximately 30 minutes per e-lesson. We think of these courses as primers and refreshers on the fundamentals of the particular topic. Schedule to spend at least 30 minutes per lesson. We recommend that you have some knowledge of copyright law before taking one of these online courses that expand on the fundamentals of copyright, either by completing one of our primer courses, or through other courses and experience. Schedule to spend at least 30 minutes per lesson for the lecture material, 15 minutes per lesson on the discussion forum, and 15 to 30 minutes completing each lesson assignment. Assignments are posted in the discussion forum for commentary by the instructor, Lesley Ellen Harris. By completing all assignments, you will complete this course with a draft copyright policy or guidelines. We recommend that you have an understanding of copyright prior to registering for this course, and that you have completed at least one of our primer courses or have the equivalent knowledge or experience in copyright law. Many of our Copyright Certificate graduates enroll in this course. Our copyright certificate programs are designed for nonlawyers to be able to manage copyright and licensing issues in their libraries, institutions, organizations and businesses. See what our recent graduates say. Choose our Copyright Leadership Certificate if you’re in the U.S. or around the world, or our Certificate in Canadian Copyright Law if you’re based in Canada. 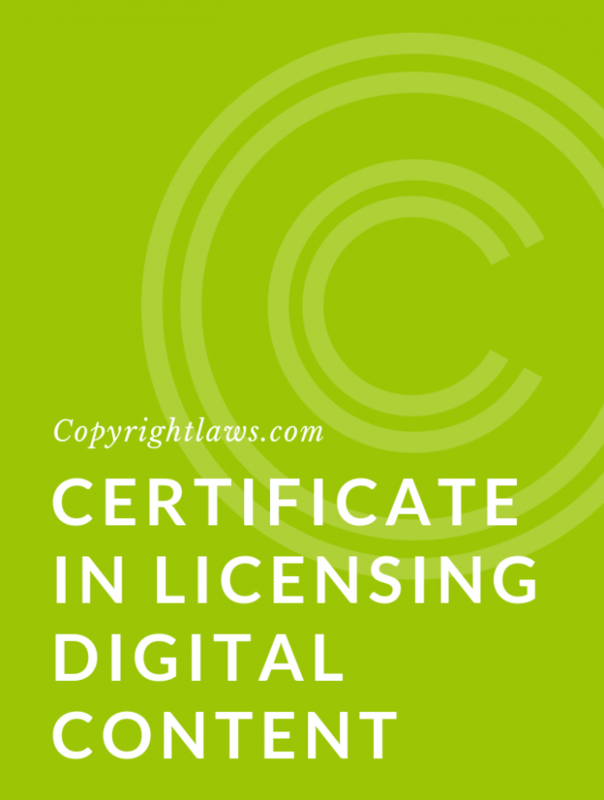 With respect to digital licensing, choose our Certificate in Licensing Digital Content. I have taken several of Copyrightlaws.com’s courses and continue to believe that they are really worth the money. I always come away from the courses with new information I can apply in my library and on campus. I am the copyright specialist on my campus so the courses provide me with more of an understanding that I can bring to my regular meetings with faculty. As well, I provide regular copyright updates for our library staff and provide one on each course I complete. Thank you very much [for instructing Developing A Copyright Policy]. This course has forced us to put down on paper what we need to move copyright forward in our institution. 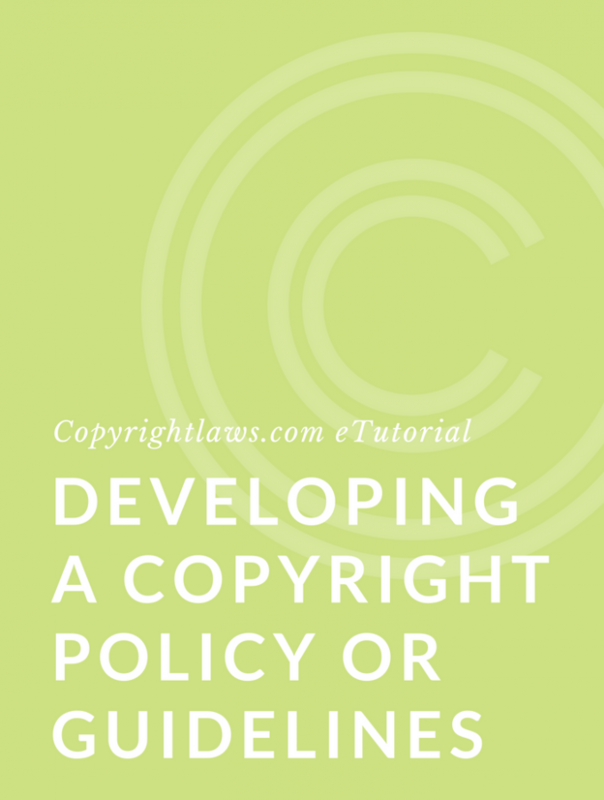 This course [Developing a Copyright Policy or Guidelines] has been tremendously helpful in showing me crucial components for a copyright policy. It has helped me organize what’s needed in a copyright document, who needs to be involved from our staff, and has provided me with great examples of policy documents. Thank you! The Copyright Leadership Certificate is a great, well-paced overview of copyright law, with material to continue to study on my own and to continue to use as reference in the future. The email format of the lessons worked great. The self-grading quizzes in each lesson helped me focus on what I failed to learn/understand and need to relearn. I will use the fair use tool and many of the charts and guides provided. I found the class list had great potential for network contacts as well, should I have questions in the future and may want to reach out. Thanks to the Certificate, I am now able to respond with more confidence to copyright questions and know when to seek further advice from legal. The Certificate was definitely worth the price and I recommend it to others. I loved the Certificate [in Canadian Copyright Law] program, it exceeded my expectations. Each tutorial delivered copyright information in an easy-to-understand format and I was pleasantly surprised at the amount of information that we received. After the program, my priority is to revise the copyright portion of our contracts. I will also make a copyright adherence policy for staff and begin staff copyright education. The program has been a very valuable experience for me and has made me feel more secure in managing copyright at work. I definitely recommend the Certificate program to others. I found this course [Introduction to Digital Licensing] to be a useful overview of licensing for librarians. The e-mail format allowed me to do things at my own pace. I really like the sample licenses that were provided and we will now be creating our own license template for use with vendors. 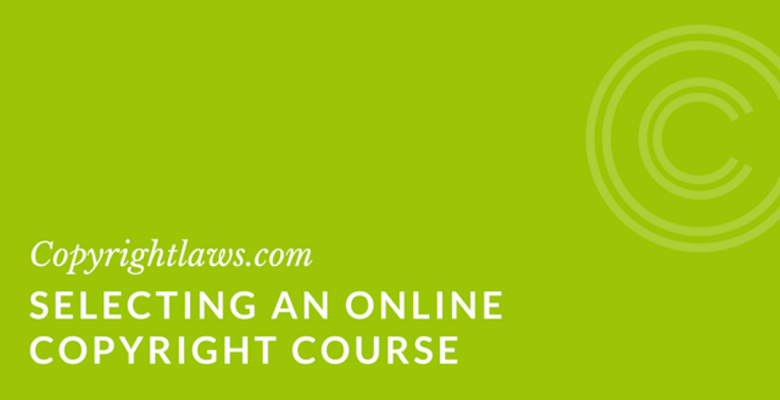 Which Online Copyright Course Is Right For You? Email us about our other courses including private and customized sessions.